There is not a cost to view this presentation. This presentation was recorded LIVE on April 18, 2018 and is approximately 90 minutes. Differentiate between a strength and loss-based approach to aging. Identify three examples of strength-based community-building and culture-making projects. Dr. Basting is an educator, scholar, and artist whose work focuses on the potential for the arts and humanities to improve our quality of life as communities and individuals. For over 15 years, Basting has developed and researched methods for embedding the arts into long-term care, with a particular focus on people with cognitive disabilities like dementia. Basting is author of numerous articles and two books, Forget Memory: Creating better lives for people with dementia (2009) and The Stages of Age: Performing Age in Contemporary American Culture. Named a 2016 MacArthur Fellow, Basting is also the recipient of a Rockefeller Fellowship, a Brookdale National Fellowship, and numerous major grants, including the MAP Fund and NEA Artworks. She is author and/or producer of nearly a dozen plays and public performances, including Slightly Bigger Women (2015) and Finding Penelope (2011), a play inspired by a year of intergenerational conversations about the myth of Penelope from Homer’s Odyssey, and professionally staged at a long term care facility. Her latest book --The Penelope Project: An Arts-based Odyssey to Change Elder-care (University of Iowa Press, 2016) co-edited with Maureen Towey and Ellie Rose -- tells the story of that remarkable collaboration. Basting holds a PhD in Theatre Arts from the University of Minnesota, and a Masters in Theatre from the University of Wisconsin. She is founder and President of the award-winning non-profit TimeSlips Creative Storytelling, which improves well-being by infusing creativity into care relationships and systems. She is working toward a moment when the arts are an integral element in our care systems. Basting advises the burgeoning field of arts and aging and gives keynote addresses across the world on the power and potential of creative engagement. 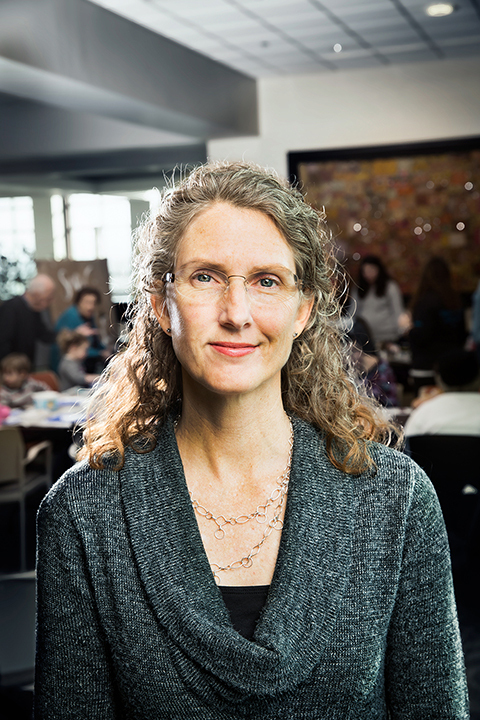 Basting was Founding Director of UWM's Center on Age and Community from 2003 to 2013, where she fostered partnerships between scholars, students, and service providers, and translated applied research into innovative educational tools including manuals, films, and social media. Now based fully in the Peck School of the Arts, Basting coordinates the Student Artist in Residence program and the Creative Trust, an alliance to foster life-long learning through the arts. Her teaching/practice focus includes Arts & Social Entrepreneurship, Playwriting, Directing, Storytelling, Performance and Popular Culture, and Play Analysis. Relevant to the content of this CME activity, Dr. Basting indicated she has no financial relationships to disclose.